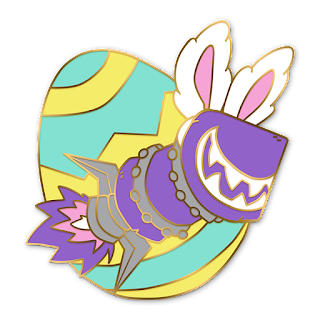 Can’t be bothered searching for the answers to the wowhead egghunt? Well, here they are. Answers are below just click on the links, remember you'll need a wowhead acount to enter. 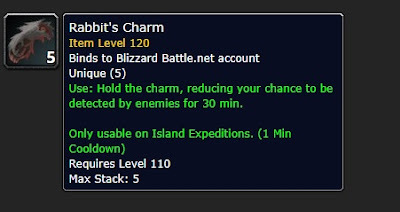 Play loot simulator on Island Expeditions with this charm, which reduces your chance to be detected by enemies. 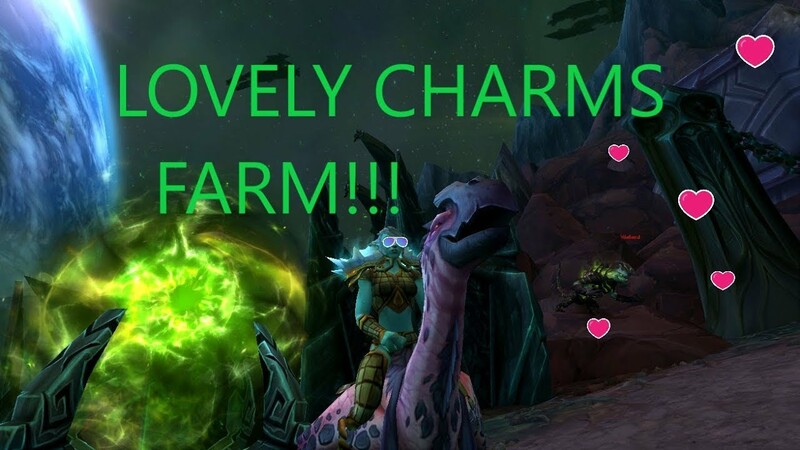 This allows you to pick up all the Azerite without killing anything! Do you like jewels? This gem can only be picked up by tanks, but makes them unshakeable. 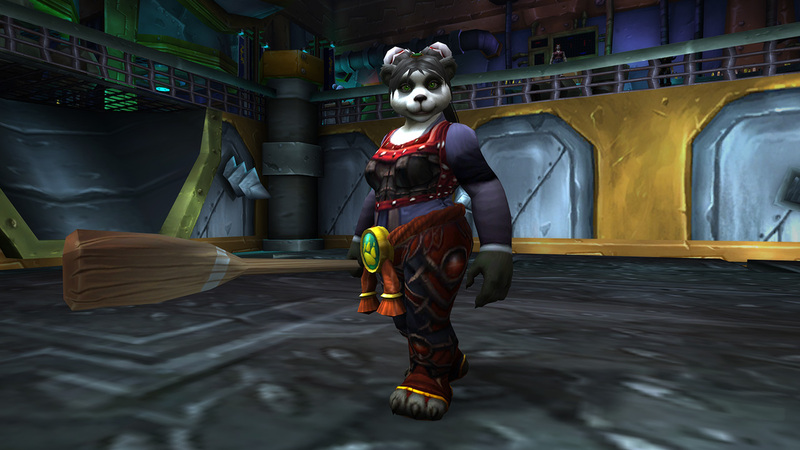 This reward can be purchased from Warlords of Draenor Timewalking and may help you focus. Having three heads helps him be a boss in eating contests. However, the results might be fetid. Unlike other conches, if you listen to this one, all you will hear are dark whispers. Birds of a feather flock together, but this mechanical pet is one of a kind! If you're ever in Un'goro, watch out for dragons, devilsaurs, and Paladins from Northshire. This leaf is said to awaken anyone stuck in a dream. As the possession of a budding member of the peckletariat, you need a lot of money to get this pet. Eyes watching. All around. A gift of mine. In my world, they drown. To those who seek truth, will come to accept. And to those who cleanse, will hide in their dens. 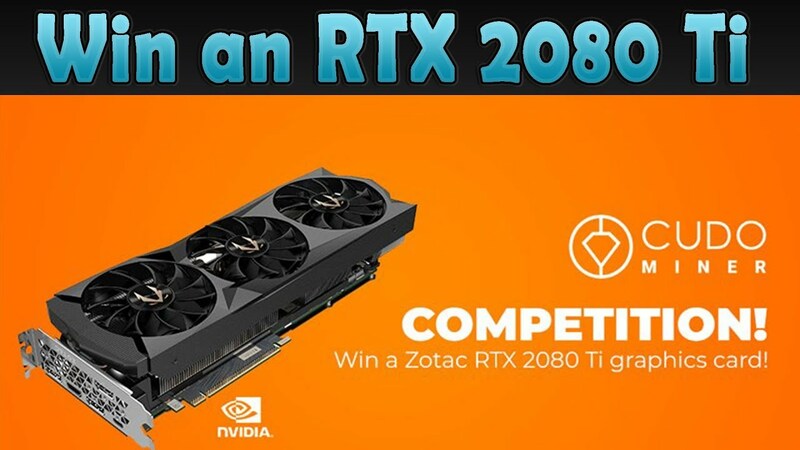 Good luck to all, hopefully at least one of you wins something. Farm easter eggs on a probably empty realm. I just logged in to see only 11 minutes left on the assault on tiragarde sound. When I arrived (as horde from zandalar) I had 8 minutes left. By the time I was at the fourth world quest right inside an iron star, just destroyed 6 barrikades and saw the gate infront of me the assault ended. I just kept going as the iron star! I dont know the name of the last assault world quest. It started by picking up some detector device , revealing 6 alliance saboteurs and then jumping into an iron star to clear the way down to the boralus gate. Probably killing a big mob after that. Within the first seconds after this bug occured I drove right past the last quest point and straight towards the harbor through 2 more gates. When I entered boralus the game told me to head back to tiragarde sound. I assume if I stay too long outside tiragarde sound or enter boralus I get dismounted. Most of the zone is instanced right now. 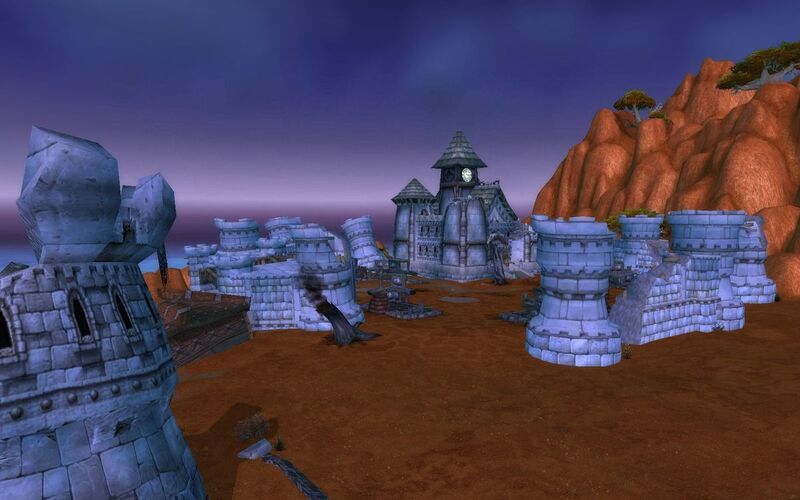 Only a few alliance mobs in the area where the world quest takes place at greystone keep just between boralus and bridgeport. They still die with two hits. As Im writing this Im still sitting in the iron star in plunder harbor driving against a wall. 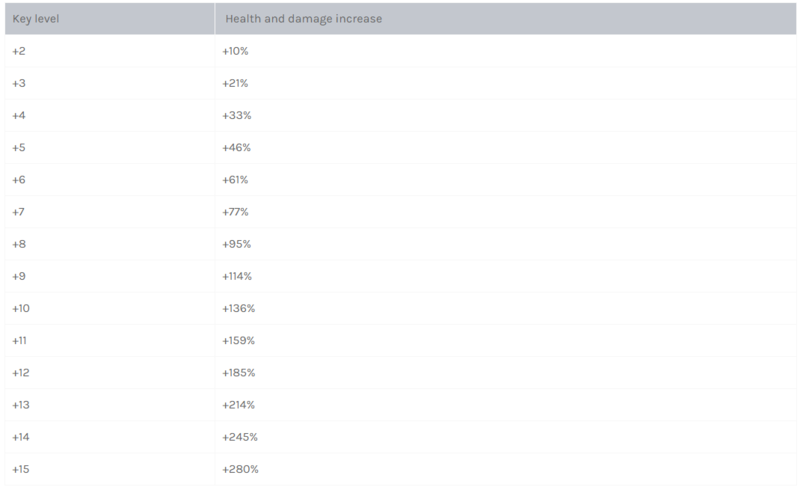 I can explore the whole region, I have half a million HP, Im immune to fall damage, I can use the speed boost which adds 25% movement speed and stacks 3 times but it swims very slow. 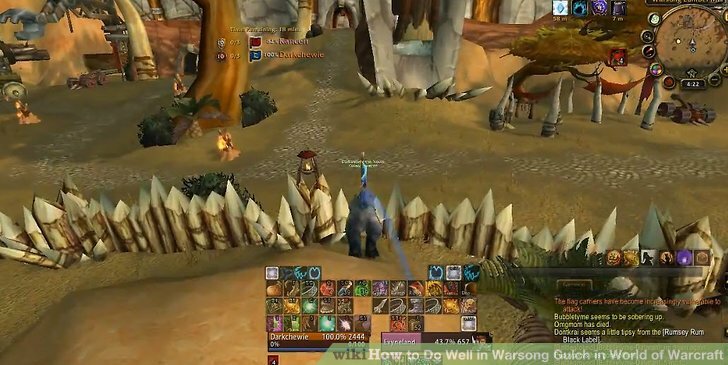 If more world quests have such powerful tools that can be kept when the world quest timer is up, maybe this can be very useful. 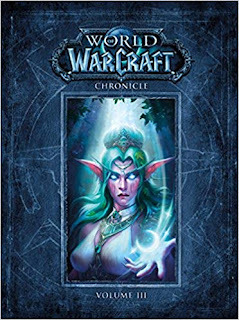 Volume 1 & 2 were awesome, collecting the ancient lore of Azeroth and Dreanor leading up to the events of Warcraft I and Warcraft II. Volume 3 gave some high hopes as it would definitely focus on Warcraft III. As usual the art was amazing and it gave a great overview of the events...an "overview". 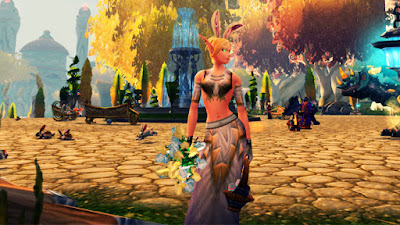 It also gave some information on the events of World of Warcraft up to the Expansion cataclysm. Sadly this book felt way to crammed and rush, as some of the details of Warcraft III seemed left out. It felt like much of Northrend campaign was skimmed from the perspective of Warcraft II and World of Warcraft. It would have been a great opportunity to go into the Vyrkul, Frost Dwarves, Earthen, etc. They gave hints of stuff here an there, but it was large just in passing. Plus many of the maps were just page filler, repeated a couple of times...I was hoping for a nice map of Northrend. Also it seems the decision to hurry up, was that the book points out that many other sources tell the tale....and I think they missed the point. Chronicles is a hopefully definitive source for Warcraft history. I have no idea wait may lie in store for Chronicles 4, but definitely more newer maps and perhaps vaporware lore that was cut from the game? Heck if it can't be in game....why not here. Hopefully some of the events in Hearthstone will be mentioned, I really wish New Gadgetzan was ingame/lore. It is still a good read, but not as great as the first two. 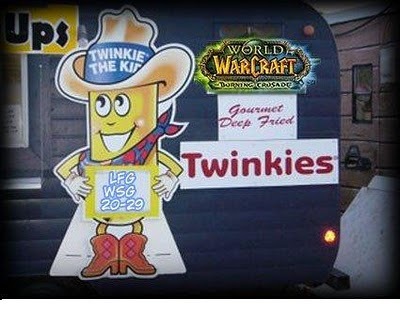 World of WarCraft is a nearly 25 year old franchise that was originally created to be an extension of the WarHammer universe. When GamesWorkshop decided that they wanted to go another direction, Blizzard said 'Okay, sure, we will make our own game franchise'. The rest, as they say, is history. Which is why they need these books. Lets be honest. Things have changed in 25 years. Things that the development team wrote way back then probably seemed super cool and awesome to include. But now, looking back on it, they see gaps, holes in the stories that they had decided would work awesome as a straight RTS story but simply does not work or service the story that they are trying to tell today. The Chronicle Books attempt to fill in some of those holes and make the rest of the WarCraft universe better. WarCraft Chronicle Volume 2 continues down the same lane that the first began, with one major exception. This book handles a lot more of what happened on the Orc's homeworld, Draenor, and how that world came to be and how the orc race came to be. It describes how the orcs came to Azeroth, what pushed them to do that, and more importantly, WHY they ultimately chose to come to Azeroth. 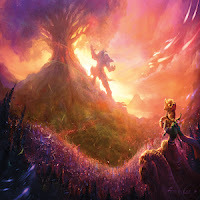 The book completes itself by going in depth into both the First and Second Wars on Azeroth, filling in many more of the gaps that people have been wondering about for many years. I won't 'spoil' any of the revelations, but just know that they are some of the most welcome additions and clarifications to that timeline that Blizzard has put in since the games themselves were created. I would like to note that there is very little, if any, retconning going on in this book. What we mostly get is clarifications and stories to help make the world better and more developed. It is especially a boon for Roleplayers because it gives them more knowledge and more story with which to play. 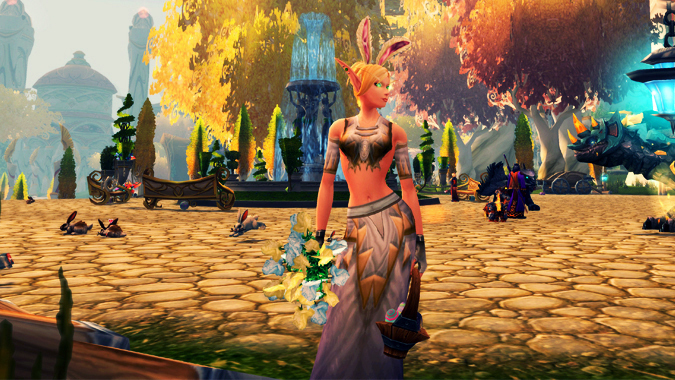 It also does not answer every single question that we have about the WarCraft universe. Rather than doing that, the clarifications actually offer more chances for individual interpretation and wacky theories to emerge. For any kind of fan of the lore of WarCraft, this book is amazing, well worth the five stars. The book is laid out beautifully, flowing very well from the first opening page all of the way to the last. The artwork scattered throughout this 200 page tome is some of the most beautiful artwork I have ever seen. 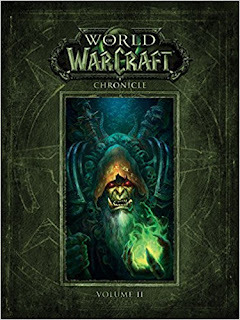 I really enjoyed this book and I highly recommend reading it if you are a fan of the lore that has a great knowledge of the lore of the WarCraft universe or simply getting started. It is well worth your purchase, time, and effort. From the moment I received the package I knew they knocked it out of the park with this one. The book is weighty, but not overly so. The cover is thick with a very nice glossy sheen. The graphic of Medivh is a hi-res image, and I expect it to last the life of the book. Opening the book reveals the quality binding, and the care taken during the manufacturing process. Dark Horse really outdid themselves with this one. I am a huge Warcraft lore buff, so needless to say, I was excited to dive right into this book. I have just read the first 70 pages, and thumbed through the rest. This book covers the period of time from before the founding of Azeroth up until Medivh reaches adulthood. After having read the first few chapters, I can say the quality of writing is very good. It is written as a chronicle, (surprise, surprise) and gives a good overview of what exactly happened during the formative years of Azeroth. The illustrations are very good, and provide just the right mood to really enhance the reading experience. I won't spoil anything, but I was really surprised to see that they gave reason to the Titans and their machinations, and more importantly, what drove Sargeras to madness. The book also gives a great explanation as to exactly how each school of magic is derived, and how they interact with each other, which was a great surprise. After finishing the book, I can safely say I very much enjoyed it. However, I do have some caveats. Unfortunately, I have been spoiled by the fluff books from Warhammer 40k, which I hold as the gold standard for fleshing a universe out. I can't help but to compare the two. I wish the format had been more like the Warhammer books, it would have made it more enjoyable to read, and would have added more depth to the world. It feels like the writer(s) of Chronicle were either held on a very short leash as to what kind of stories they could tell, or they didn't have the imagination to flesh out more of the world. For example, (minor spoiler) the book says that Azshara spread her dominion over most of Kalimdor, but it mostly ends there. In Warhammer fluff, it would have given dates, locations, and parties involved, followed by a detailed description of the battles that took place, and the results. It might seem like a small thing, but it's those kinds of details I wanted from a book like this. Keeping to that point, I want to add that on more than one occasion, the book glossed over new lore where it crucially should have been expounded upon, but instead favored already established lore. In my opinion, this really detracts from what I feel the book was designed to do- establish a clear picture as to what Azeroth was like prior to the invasion, where we are first exposed to the world. On occasion, I felt as though the writing fell flat, as if the writer was given a topic to write about, along with stringent rules to adhere to, and so their creativity was hindered. For example. The Troll wars were a big part of pre- Dark Portal history, but I felt as though we only got a few pages, where it should have gone on for quite some time. Again, I'm comparing it to the Warhammer fluff, but I really do wish that the writer(s) were given creative license to flesh out the battles and heroes in the way that a Warhammer book is written. I don't mean to sound so negative, but I just want this trilogy to be the new gold standard for books like this. That said, I originally rated the book 5 stars. I took one star off for my aforementioned caveats. 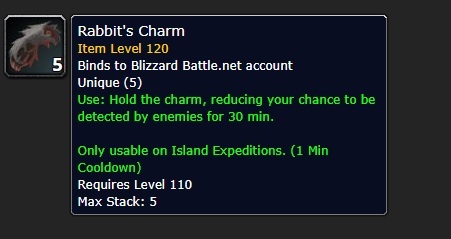 Now, I'm sure most of you are aware that this week there is an item you can purchase inside Island Expeditions called Rabbit's Charm. You can purchase this for 1 Seafarer's Dubloon, but they are however unique at 5 so you can only keep 5 in your bag at one time. They are BoA so you can send a bunch to an alt to keep in the mailbox and you can keep using it any week, even though it's not being sold by the vendor that specific week. If you go to argus krokuun, theres are portals that spawn mobs non stop. Every other mob drops a charm. This will make you 500 per hour easy, and 1k gold for looting! 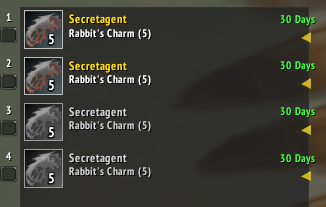 I already got enough for 2 mounts, as they sell pretty good on my server.